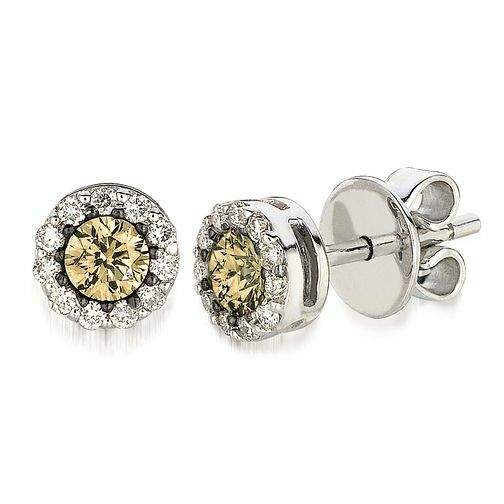 Simply captivating, these lustrous stud earrings by Le Vian are crafted in sumptuous 14ct Vanilla Gold, and feature an exquisite round cut Chocolate Diamond surrounded by glittering Vanilla Diamonds. A beautifully glamorous finish to any outfit, these extravagant accessories are designed to steal the spotlight. Matching items 8052263, 8542872.